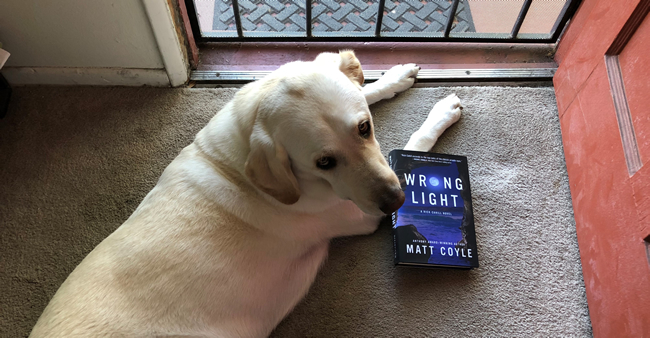 If you’re a fan of hard-boiled detective heroes—and who isn’t?—they don’t come much more hard-boiled than San Diego PI Rick Cahill—back for the fifth time in Matt Coyle’s new thriller, WRONG LIGHT. 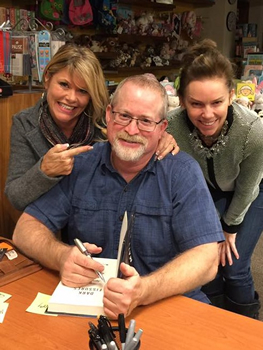 If it sounds like Cahill bears a resemblance to some other legendary Southern California PIs like Raymond Chandler’s Philip Marlowe and Ross Macdonald’s Lew Archer, that might be because Coyle read them both in high school and college, and says they certainly influenced him as a writer. 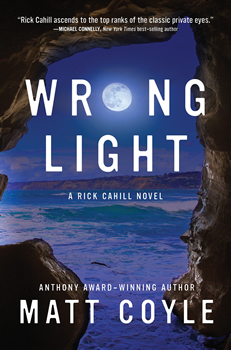 In WRONG LIGHT, Cahill is hired by a San Diego radio station to track down the stalker of talk show radio host Naomi Hendrix. But he soon finds out that Naomi has many dark secrets in her past which may have caught up with her. Meanwhile, Cahill has a lot of baggage in his background too, which forces him into a second investigation—a missing persons case—that puts his own life in jeopardy. Coyle says he’s not sure exactly how he first got the inspiration for the Rick Cahill character. And that debut book by Coyle, Yesterday’s Echo, went on to win an Anthony Award in 2014 for Best First Novel. Throughout his writing career, Coyle has also worked at full-time jobs during the day. 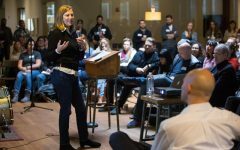 “I always knew I wanted to be a writer, even as a kid. It just took me 30 years to finally start doing it. When the fourth golf company I’d worked for in 10 years went out of business, I gave myself an ultimatum: write a book or stop talking about it forever. I had the first of many drafts of what would become Yesterday’s Echo done in six months. Coyle also hosts a popular mystery podcast called Crime Corner, where he has interviewed many well-known authors. “The podcast started as an accident,” he says. 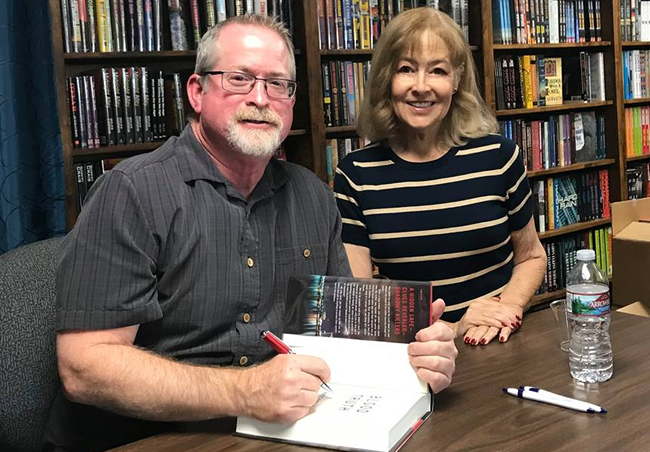 “Pam Stack, the Mistress of Mystery Radio, interviewed me a few times on her show, Authors on the Air, and I got into the habit of calling in when friends were on. She eventually asked me if I wanted to do a show, probably to keep me from calling in, and I said yes. So are there any characteristics of Rick Cahill that are similar to those of Matt Coyle? Next up is the sixth Rick Cahill thriller, titled Lost Tomorrows, which is scheduled to be published in December of 2019. And Coyle says he’ll be taking Cahill places where the character has never gone before. 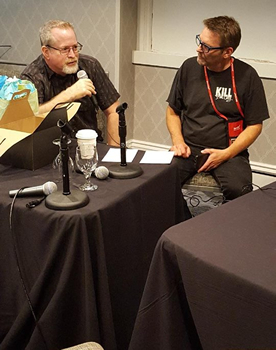 Matt Coyle knew he wanted to be a crime writer when he was fourteen and his father gave him The Simple Art of Murder by Raymond Chandler. 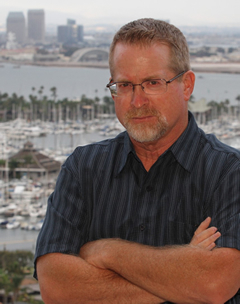 His debut novel, Yesterday’s Echo, won the Anthony Award for Best First Novel, the San Diego Book Award for Best Mystery, the Ben Franklin Award for Best New Voice in Fiction. Night Tremors was a Bookreporter.com Reviewers’ Favorite Book of 2015 and was an Anthony, Shamus, and Lefty Award finalist. Dark Fissures, the third book in the Rick Cahill crime series, was a finalist for the Macavity and Lefty awards and was a 2016 Top Pick for Bookreporter.com. Blood Truth has been nominated for the Shamus Award, was a Lefty Award finalist, a Foreword Reviews Book of the Year Silver Award winner for Thriller/Suspense, and a top pick by Bookreporter.com for Best Mysteries of 2017. 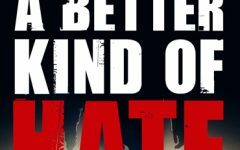 WRONG LIGHT, Matt’s fifth Rick Cahill novel, comes out in December. Matt is a graduate of UC Santa Barbara and lives in San Diego with his yellow Lab, Angus, where he is writing the next Rick Cahill crime novel. To learn more about Matt and his work, please visit his website.